New Delhi: Snapdeal, India’s leading online marketplace, announced that its co-branded credit card with HDFC Bank now has more than 1.5 lakh users. 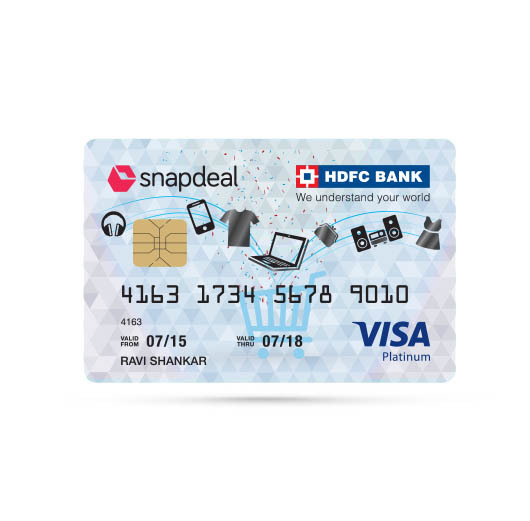 The Snapdeal HDFC Bank credit card was launched in August 2016. In 2017, more than 1 Lakh cards were issued to online shoppers. This is the only credit card by any ecommerce player in India. Throughout the year, users of the credit card get an additional 5% discount and 10X Reward Points for purchases made on Snapdeal and select merchant partners. In addition to this, the card users also enjoy additional benefits like one time cashbacks. On an average, the cardholders spent 2.8X more than an average buyer on Snapdeal. Further, post acquiring the card, the frequency of purchase on Snapdeal for the cardholders increased by 1.5X, with the buyers moving away from cash-on-delivery for all their orders. The Snapdeal HDFC credit card has contributed significantly in giving the company many loyal customers. Last month, total spends on the credit card exceeded 100 crores, the monthly highest ever for this card. “The aim of Snapdeal HDFC credit card is make the buying process more rewarding. Through this credit card, we have been providing offers and discounts that have never been a norm in the ecommerce sector. We are thrilled to have helped 1.5 lakh consumers save significantly on their shopping bills,” said Vishal Chadha, Chief Business Officer, Snapdeal. The card has a gamut of offers, which promise huge savings on the purchase of wide variety of products. In January 2018, each day the highest spender on the Snapdeal credit card wins a 2N/3D holiday package from Club Mahindra. Snapdeal HDFC Bank credit card also has several innovations to its credit. In an industry, first, pre-qualified Snapdeal users can apply on Snapdeal.com and receive the card within 30 minutes.